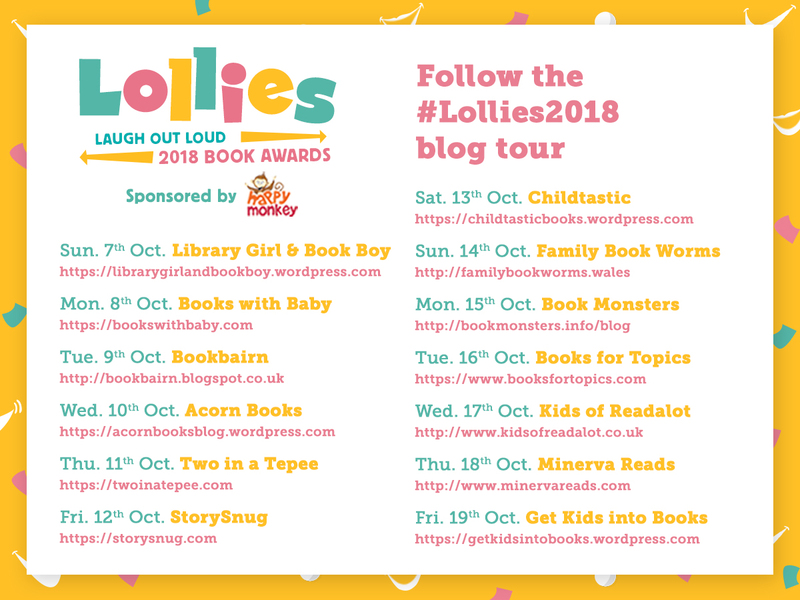 The Laugh Out Loud Book Awards, affectionately known as ‘the Lollies’, is a fun way of getting children of all ages to enjoy reading for pleasure – and it’s bound to give you a giggle too! The awards encourages children to read one of the three age-ranged shortlists (picture books, 6-8 years and 9-13 years) and then vote for their favourite. 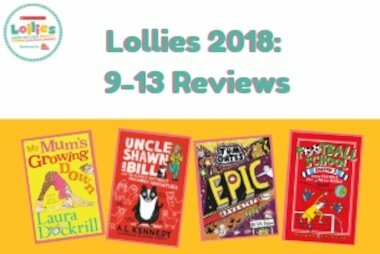 To introduce even more people to the Lollies shortlist, we set up a blog tour, where a different book blogger wrote about a different book on the shortlist each day for about two weeks. Here’s a round-up of all the brilliant blog posts about the shortlist! 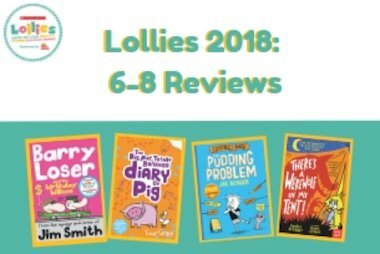 Jo Cummins, one of our Lollies judges, is also a blogger, so wrote a fantastic introduction to the awards on her blog, Library Girl and Book Boy. It’s a great place to start if you want to find out a bit more about the judging process and the shortlist. First up was Oi Cat!, reviewed by Books with Baby. 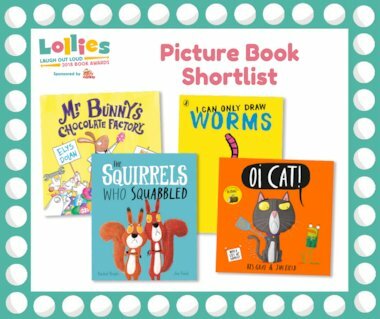 We loved that Baby Bookworm enjoys funny books – they even posted a full review of the Oi! series. Next was I Can Only Draw Worms with BookBairn, featuring a hilarious drawing lesson with author and illustrator Will Mabbitt. Acorn Books posted a great review of Mr Bunny’s Chocolate Factory, including another drawing tutorial – this time from Elys Dolan. 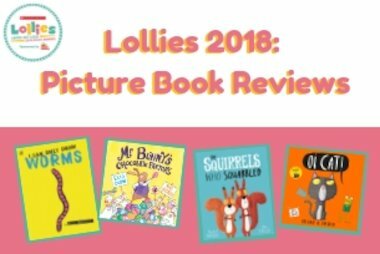 Rounding up the Picture Book shortlist was The Squirrels Who Squabbled, reviewed by Two in a Tepee. The post even includes an interview with author Rachel Bright! 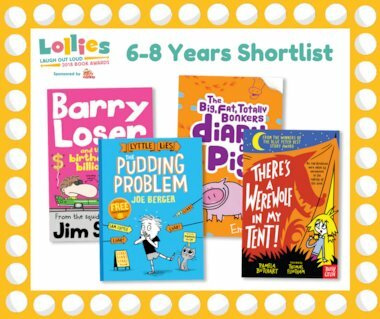 To start off the 6-8 Years shortlist, “Story Snug” interviewed Barry Loser and the Birthday Billions author Jim Smith – we particularly liked finding out how he heard about being shortlisted! For the There’s a Werewolf in My Tent stop on the blog tour, author Pamela Butchart joined “Childtastic” on their blog and recommended her favourite funny children’s books for all ages. Next was Lyttle Lies: The Pudding Problem, for which Family Book Worms interviewed author and illustrator Joe Berger. Book Monsters interviewed Emer Stamp all about her book, the hilarious The Big, Fat, Totally Bonkers Diary of Pig. We began the 9-13 Years shortlist with Football School Season 2: Where Football Saves the World, reviewed by Books for Topics. Authors Alex Bellos and Ben Lyttleton are interviewed all about football facts and their writing process. Next Alex from Kids of Readalot reviewed Uncle Shawn and Bill and the Almost Entirely Unplanned Adventure, even getting to ask author A. L. Kennedy several questions! MinervaReads told us all about Tom Gates: Epic Adventure (Kind Of) and interviewed author and illustrator Liz Pichon, getting to ask her some burning questions. Finally, Get Kids Into Books reviewed My Mum’s Growing Down and interviewed author Laura Dockrill too! 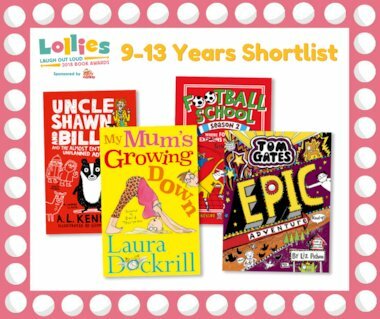 The winners of the Lollies are determined completely by children’s votes, whether they’re voting via a teacher, parent or other grown-up on the Scholastic website, or they’re voting themselves on the PopJam app. Don’t forget to place your vote before 14th December 2018!